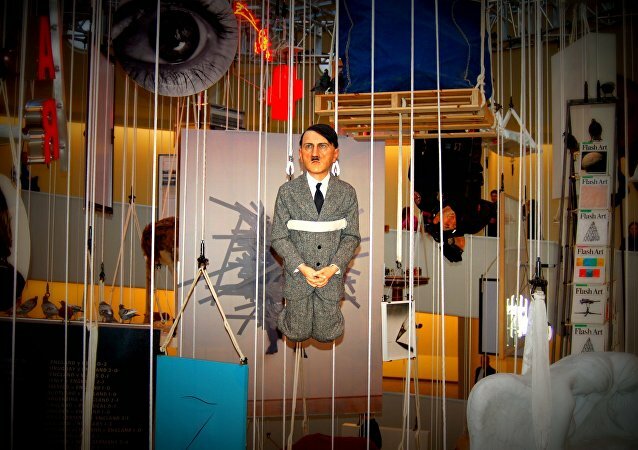 German police on Thursday seized a total of 63 paintings from Nuremberg auction house Weidler that were allegedly created by none other than German dictator Adolf Hitler. Of those confiscated, 26 were due to be auctioned off over the weekend. Maryland's Alexander Historical Auction sold a 1933 photo of Nazi leader Adolf Hitler embracing a young girl of Jewish heritage this week for more than $11,000. 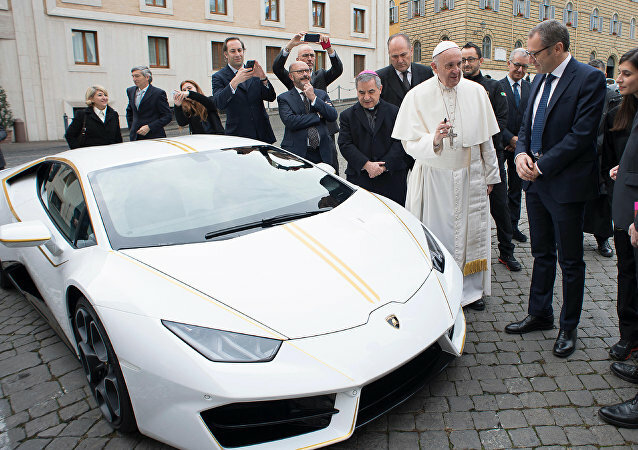 The supercar was donated by Lamborghini in 2017 and was customized with a white coat of paint with golden stripes, resembling the Vatican's flag. A 19-year-old model who has identified herself simply as Giselle announced Thursday that she has sold her virginity for 2.5 million euros, which translates to roughly $2.9 million, to a businessman from Abu Dhabi. After an intense legal battle, a bag containing moon dust that belonged to a Chicago area woman has fetched $1.8 million at auction. A priceless artifact from the first moon walk was accidentally sold at a government auction, and now a legal battle is brewing between the buyer and NASA. A statue of Adolf Hitler kneeling in prayer, controversial enough that the artist purportedly considered destroying it, has sold at a New York City auction for a whopping $17.2 million.